Welcome to Special Education Degrees! We have the information and resources to meet your Special Education Degree questions. Whether you are a parent, student, teacher, administrator, assistant, educational consultant, or generally interested in special education, chances are you are seeking to gain a better understanding of the field, learn new skills, expand your educational foundation or further your career, this site is for you. Our goal is to help you acquire the best experiences and education available given your current circumstances. Before you explore the educational resources and career opportunities our site offers, please allow us to offer our thanks. The individuals who work hard raising, teaching, and assisting those with special needs deserve all of our gratitude. Without your dedication, the world would be a much different place for those living with psychological, mental, or medical disabilities. If you are a student or educator, chances are great that you are busy with courses, working, or seeking employment while maintaining your academic and employment responsibilities. Often this makes for a challenging dynamic when seeking means of learning new skills and acquiring information. That’s why it is our mission to offer you a number of professional, educational, and personal resources in Special Education to not only advance your goals but also help advance the field. 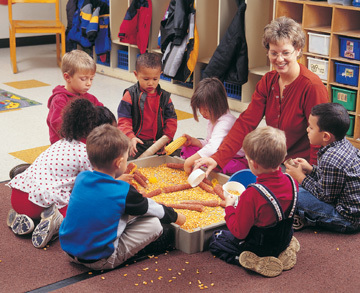 Special education is a teaching discipline focused on supporting the academic, social, and vocational development of exceptional children with disabilities. Under the IDEA Act, all disabled youth must receive apt education services in the least restrictive environment possible. As the frequency of diagnoses rises, a special education teacher shortage is growing. There aren’t enough special educators to meet the needs of America’s 6.4 million students with disabilities. Therefore, studying special education is an excellent degree pathway for individuals interested in classroom careers. The NCES reports that there are 864 special education degrees in the United States, 181 of which are online. 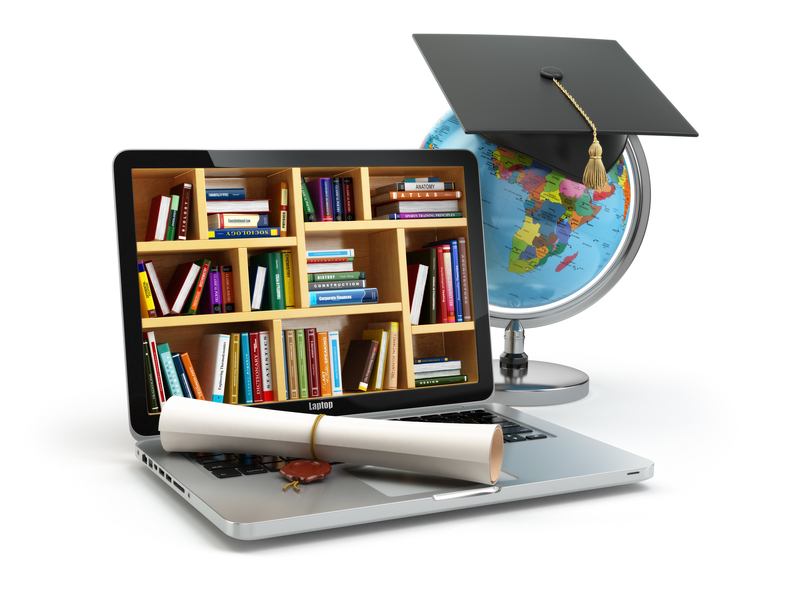 Below are the fundamentals you should know about online special education degree programs. At the undergraduate level, online associate degrees in special education are available at junior colleges and vocational schools. This two-year program lays the groundwork for studying child development and inclusive teaching. Online associate degrees make students eligible for becoming teacher’s aides and early childhood educators. Public school systems require that K-12 special education teachers hold at least a bachelor’s degree and state licensing though. Online bachelor’s degrees (B.A. or B.S.) require four to five years full-time to develop lesson planning and classroom management strategies. Accredited bachelor’s programs in special education will include field practicum and student teaching to satisfy license requirements. Online special education degrees are also granted at the graduate level. Individuals who aren’t already licensed educators can pursue initial credentials with an online Master of Arts in Teaching (M.A.T.). The alternative, a Master of Education (M.Ed. ), is granted online to teachers who carry valid state certification and seek advancement. Online master’s programs typically offer areas of specialization, such as gifted education, autism spectrum disorder, blindness/visual impairment, learning disabilities, and literacy. Earning a master’s degree is sufficient for classroom-based careers. However, pursuing an online doctoral degree (Ed.D. or Ph.D.) would facilitate special education jobs in administration and higher education. Picking the right online degree is tough because your choice can greatly affect your special education career long-term. Location isn’t a factor in online learning, so hundreds of schools are at your fingertips. Using your favorite search engine, hunt for online colleges offering a special education degree in your concentration area. For each prospective school, double check the accreditation status. Regional accreditation recognized by the U.S. Department of Education is essential for degree transfer, licensing, and financial aid. Top online special education programs will also feature professional accreditation from the Council for the Accreditation of Educator Preparation (CAEP). Reputation is another big consideration in your decision. Gauge the online college’s quality by searching for rankings and student reviews. The U.S. News and World Report is an excellent resource for finding the best online education schools. Published rankings often consider key data like retention, job placement, student engagement, and faculty-student ratio for you. Pay close attention to the field opportunities offered by online special education programs. Ask your state licensing board whether the online degree will qualify you for certification or not. Potential online students should also inquire about technology, flexibility, Praxis exam rates, and curricula. Whether at the bachelor’s or doctoral level, online special education degrees share a common goal in helping exceptional youth turn disabilities into abilities. Aspiring teachers will generally progress through a well-rounded education core before focusing on special education. Major courses will cover subjects like child assessment, developmental psychology, behavior analysis, language development, assistive technology, instructional planning, and diversity. Many are aligned with standards established by the Council for Exceptional Children (CEC). Elementary special education programs could specifically blend online courses in English, math, science, and history for subject proficiency. School-based practicum before the student teaching semester should also be expected. The College Board reports that the average bachelor’s degree tuition is $9,410 at public, in-state and $32,405 at private, nonprofit universities. Graduate education also breaks the bank with an average cost of $20,368 per year. Costs for online special education degrees can vary greatly though. For instance, Fitchburg State University charges $3,006 per year while Vanderbilt University bills students $44,712 annually. Expected tuition cost is an important factor to consider when narrowing down your degree options. Notice if the online colleges add in sneaky technology and service fees too. No matter the price, you shouldn’t be discouraged from pursuing online special education degree programs. That’s because financial aid can provide tremendous help. In 2014, over 85 percent of undergraduates received federal assistance. In addition to loans and the Pell Grant, there’s the Teacher Education Assistance for College and Higher Education (TEACH) Grant. This program awards up to $4,000 to students pursuing high-need teaching fields, including special education. Many organizations also grant free scholarships. For example, the Judith Cary Memorial Scholarship is gifted to special education majors yearly. With extra funding and the above tips, you’ll be ready to earn an online special education degree.